Don’t let the boat sail without you by getting in early to book your passage for UITPANZ’s Public Transport Service Scheduling and Planning Master Class in Hobart on Friday May 3. The one-day master class will provide participants with insights into best practice in the scheduling and planning of public transport services. New and emerging technologies will be considered while providing a forum for exchange between government, operators, suppliers and industry. UITPANZ Executive Director Rob Pearce says the Master Class will be of particular relevance to public transport professionals in planning and scheduling areas. "It may also be of interest to anyone involved in public transport operations more generally," Pearce says. "And we are pleased to confirm that our keynote speaker for the event is Professor Jan Ehmke of the Freie Universität Berlin." Ehmke will speak on state-of-the-art scheduling techniques and methods for the provision of public transport services. "We will also have a range of speakers from government, operators and industry addressing the Master Class," says Pearce. On the program will be Queensland Transport and Main Roads Transport Systems Director Roman Gafa, and South Australia’s Public Transport Services, Department of Planning, Transport and Infrastructure Executive Director Bill Fragoulis. 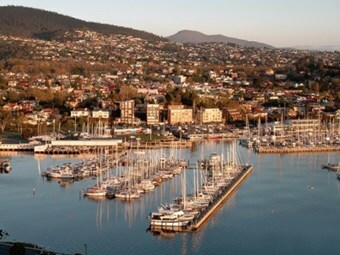 The Master Class will be held at the Royal Yacht Club of Tasmania, Sandy Bay in Hobart from 9am to 5pm on May 3, with a concluding networking function from 5pm to 6pm. The registration fee is $275 (GST incl.) for UITP members and $385 (GST incl.) for non-members.